The summer sizzle is once again raising awareness of a naturally, environmentally-friendly way to help keep cool and avoid major runoffs from drenching rains. Nestled into the riverbank along the James, is the VCU Rice Rivers Center, the state’s first Platinum-rated LEEDS (Leadership in Energy and Environmental Design) building, whose crowning glory is a green roof. Part of the roof is literally growing plants to help control rainwater runoff, insulate the building and blend with the environment. Green roofs are not new. 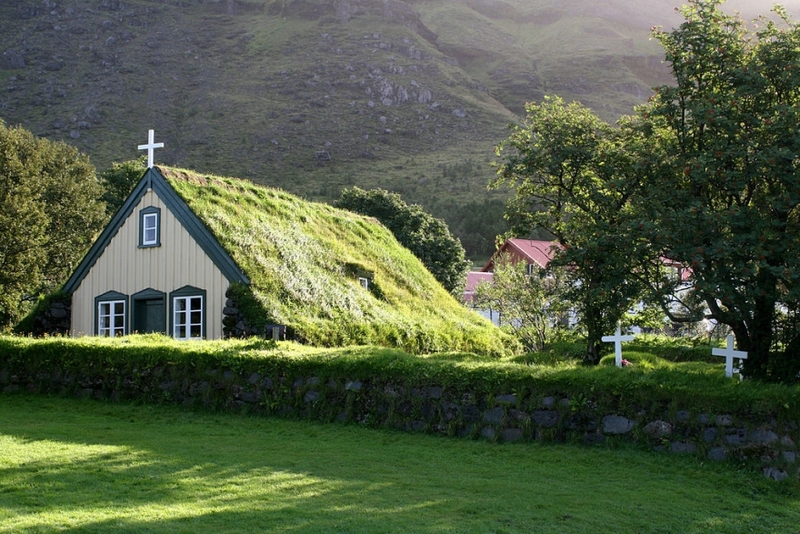 Sod roofs in Scandinavia have been around for centuries and the Europeans have traditionally been ahead of Americans. But a Virginia Tech professor recently shared some new information about them, at an international gathering in Germany. Liz Grant says Europeans have done much research on green roofs, but don’t know much about their effectiveness in climates like in the United states, and many advances in technology has made them more effective and lighter and an even better alternative than conventional roofs. They cost about twice as much, but can last twice as long and offer a welcome relief among the sea of shingles in many urban landscapes.